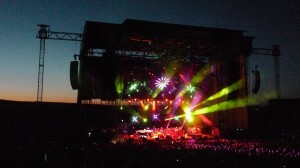 When comparing stands of summer’s second leg, Tahoe hasn’t felt the type of love that the Gorge or UIC has received. And while that analysis is completely justified, and the second night left much to be desired, let’s not sweep Tahoe under the rug just yet. Overshadowed by the bookends of Leg Two, the first night of Tahoe stands humbly in the wings; a dark-horse, two-set effort that can hold its own against the stronger shows of summer. Were it not for the wooked-out cocktail party that was popping off throughout the venue all night long (a result of the casino vibe bleeding right into the show) and an undersized sound system that couldn’t compensate for said wooks, the first night would be getting more props for what it was—another stellar night along summer’s second leg. While some shows over this last run were defined exclusively by their second set theatrics, Tahoe’s opening frame carried some significant weight. “Party Time” provided a surprise opening and the rare combination of “Oh Kee Pah > Bag” got the party started in earnest. “Mellow Mood” in the mountain sunshine matched perfectly, as everyone began feeling the set before the band had dropped into any jams at all. Stretching out the intro to “Punch” into an infectious series of grooves, the momentum of the set began to grow. 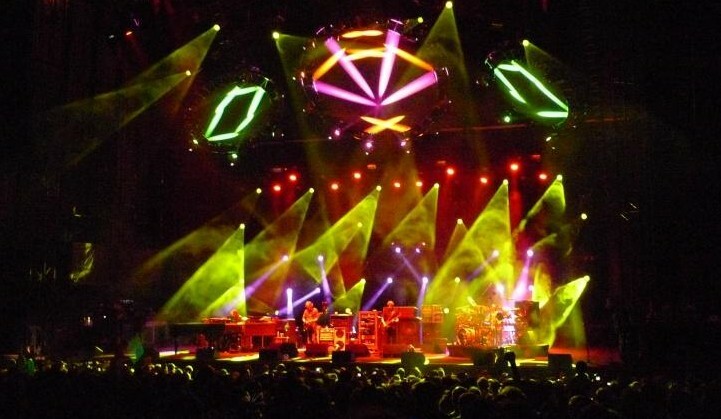 And following a bust out of the ’98 relic “Meat,” the band got serious with a mid-set “David Bowie.” Quite the odd placement for the jam made it all the more enticing as Phish dipped their ladle into melodic-infused darkness early on in the show. A blistering “46 Days” brought one of August’s better first sets to a close. But—as usual—very few people would walk out of Harvey’s glorified parking lot buzzing about the first set. Enthusiastic conversations centered on the colossal, bass-led excursion that grew out of “Light,” and how it traveled through intergalactic wormholes dripping with harrowing textures and futuristic, beat-driven soundscapes. The band locked into another forward-looking adventure out West—one of those jams that rendered the rest of the set gravy. But this gravy was was quite good. 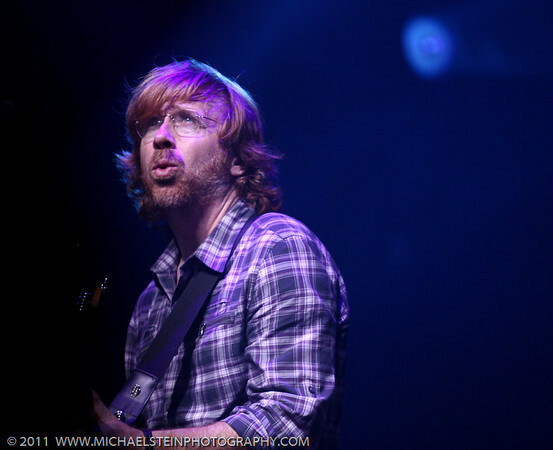 As “Light” meandered into nothing—as so many of its outlandish journeys tend to—Trey slowly wound up the into to “Chalk Dust” in a complete juxtaposition of styles. From the outer rings of Saturn to slamming white lights, the band jumped right back into a rock concert with little buffer zone. 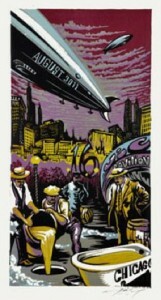 But as a dynamic “Chalk Dust” flew through multiple teases, the band all of a sudden had the crowd on its knees with a delicate breakdown of the classic rock anthem, efficiently deconstructing the song with a melodic bridge to a mid-set “Slave.” And per usual, when Phish centers “Slave” in the second set, a highlight rendition was sure to follow. Slowly building through blissful textures to match the mountain locale, the band unfurled a cathartic centerpiece that resolved “Light’s” journey into the center of the Earth. A concise but cathartic “Jibboo” had opened the set, and after a seemingly random “Free” came out after “Slave,” the show’s delicate feel continued. Apparently spurred on by a legion of fans in some sort of on-going campaign, Phish broke out Elton John’s “Rocket Man: late in the second set, a cover which Page did far more justice than the thousands of bellowing drunkards ever could. And closing upon a similar note, the band dropped into “Harry Hood.” Though “Hood” was tight, it remained a relatively vanilla version. But Phish had one last gasp left—“Walls of the Cave.” And while I can’t say that the song seemed to fit in the set, I can vouch for the fact that Phish tore it to pieces. 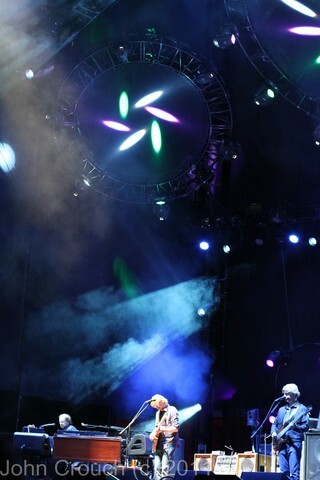 Ballooning the end jam into a set-closing exclamation point, the guys punctuated a rather delicate show with a bang. 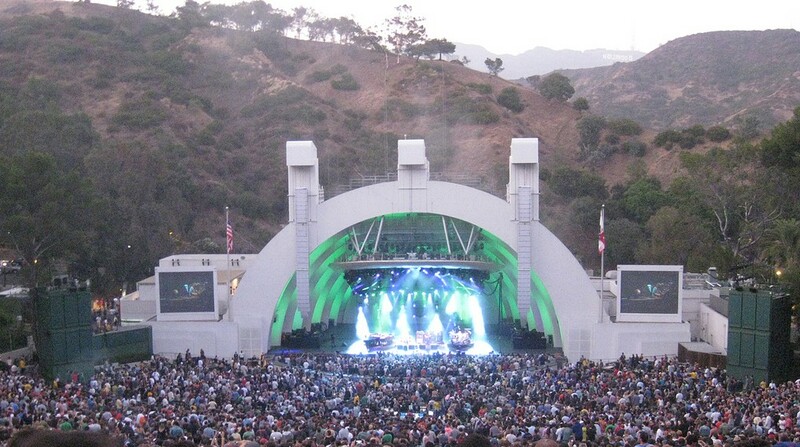 Returning to the mellower feel for the double encore of “Bug, Squirming Coil,” Phish whispered their goodbyes into the cool mountain evening. And though the debauchery would grow from there, Phish left stage with a very mood-matching performance that greeted their fans to the gorgeous locale of Lake Tahoe. And with all the deserved hoopla over UIC and the Gorge, this gem—with a distinct flow from beginning to end—has gotten lost in the mix. Give it a re-spin, you won’t be disappointed. One of the standout jams of 2011; a dark trek into progressive bass-led mania. As the lights spun to the side of the stage just before the band launched into “Rock and Roll’s” jam, I looked out over the Gorge on a fresh head and thought to myself, “Is this really gonna’ happen?” I wasn’t sure what I meant. It was one of those transient thoughts that flash through your mind as quickly as they leave during an electric night at Phish. The sound was perfect, the weather divine, and on the first night of tour, it felt like the band was on the brink of something huge. Twenty minutes—or a lifetime—later as Phish seamlessly slid into “Meatstick,” bringing me out of an subconscious state, my soul had been wrenched by spiritual aliens, worked over by a funk seductress, and dragged deep into the dark side by a demonic, psychedelic muse. 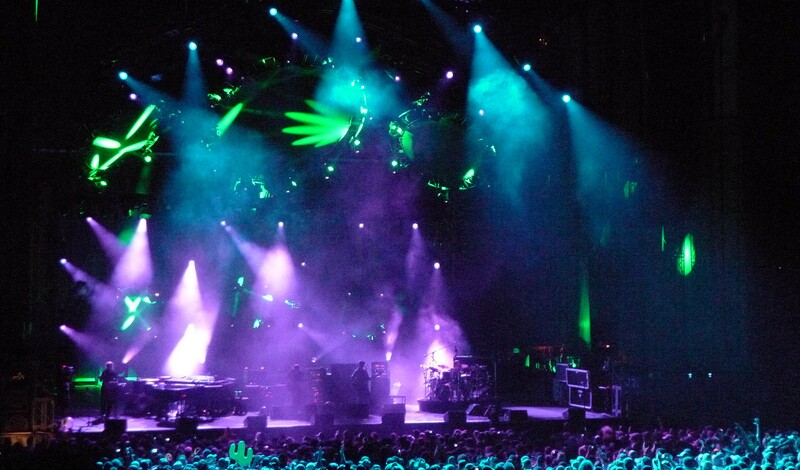 Phish had harnessed IT—that unspeakable power of the universe—in the course of one musical adventure for the ages. And when the dust settled on “Rock and Roll,” let alone “-> Meatstick -> Boogie On,” I had just lived a dream. With improvisation so innovative and engaging, time stood still—or flew out the window. This was an experience that afterwards one looked back on in awe and respect rather that just as a piece of music. Everything flowed with such patience and prowess, and the band committed to taking us to places none of us had seen before—a collective musical discovery amidst the natural world. 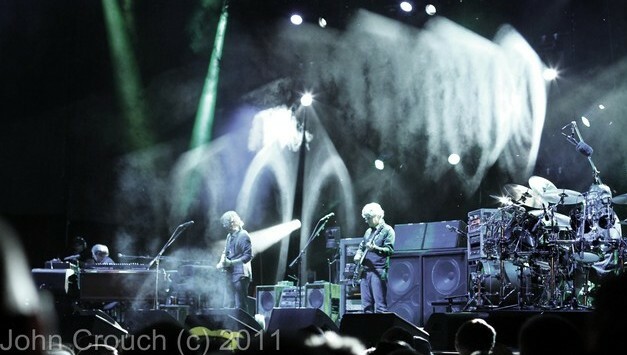 Building through distinct stages of improv without losing cohesion, Phish hit a sacred stride on this night. Something special happened; something that doesn’t occur at every show. The band created a piece of music that spoke to the very ethos of Phish, a jam that opened up an invisible doorway to a fantasy for which we criss-cross the nation. Everything over the past two-plus years had built up to this. 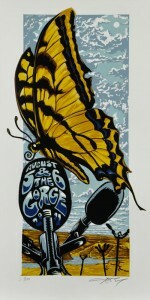 All the stepping stones of ’09 and ’10—all the sublime highlights and borked jams, missed transitions and musical triumphs—had brought us here; to the Gorge on August 5th, a night when everything changed again. Phish hadn’t dropped something like this before. Not in this context. Not with this palate of sound. Not ever. Throw the era qualifications right into the Columbia River Gorge. And when Mike dropped that bass line deep into the night, bringing the beat back from the netherworld, the Earth shook with delight as skulls shattered across the hillside. IT was real. And IT was good. In fact, IT was alright. A musical revelation on the first night of tour. It’s often been said that I don’t give credit to shows that don’t include outside-the-box jamming. While my affinity certainly lies in the unknown, the second night of the Gorge is a show that disproves any such theories. 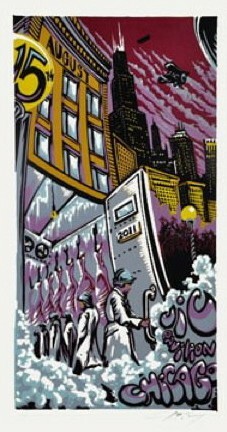 Without diverging from song structure (less a first set “Wolfman’s” that transformed into “Maze”) Phish put together a standout performance, one that I loved to the core, without any “type II” jamming. 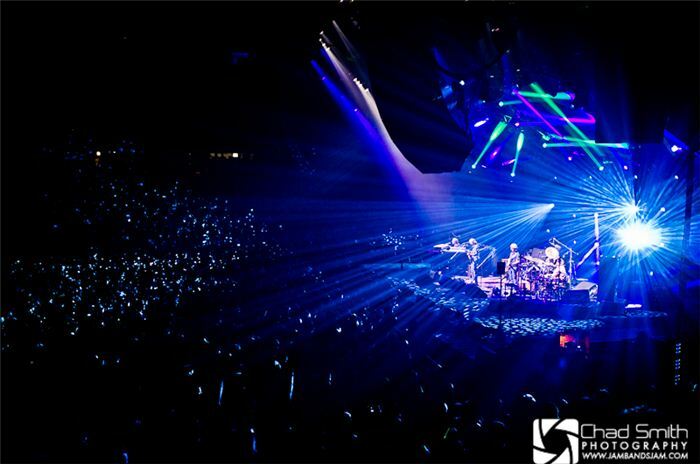 Using confident and powerful playing, larger-than-life dance grooves, and creative interplay all night long, Phish threw down a show that has gone under-appreciated in the rightful shadow of the previous night’s breakthrough performance. While Phish didn’t craft any alternate realities on this evening, they sculpted a groove-focused show with airtight interplay, a creative setlist and relentless flow. And though they weren’t traveling the outer realms of the Milky Way, the guys crafted a set of spectacular dance grooves that contained nary a lull throughout. 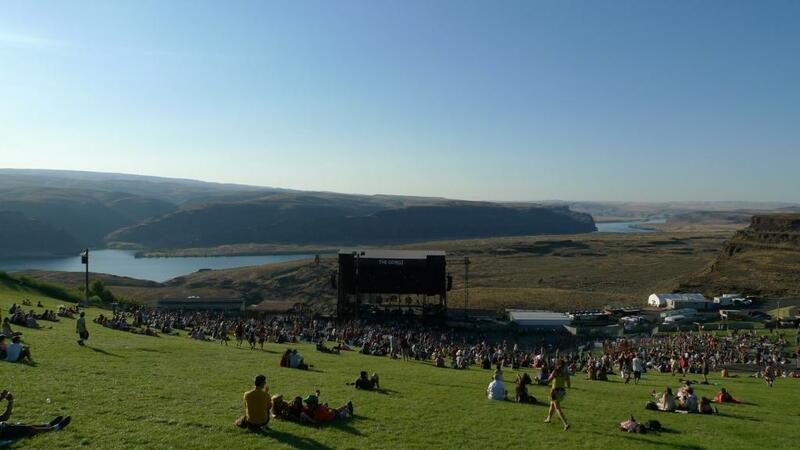 On September 11th of 1999, Phish debuted “Sand” out of a silky “Wolfman’s” jam at the Gorge. 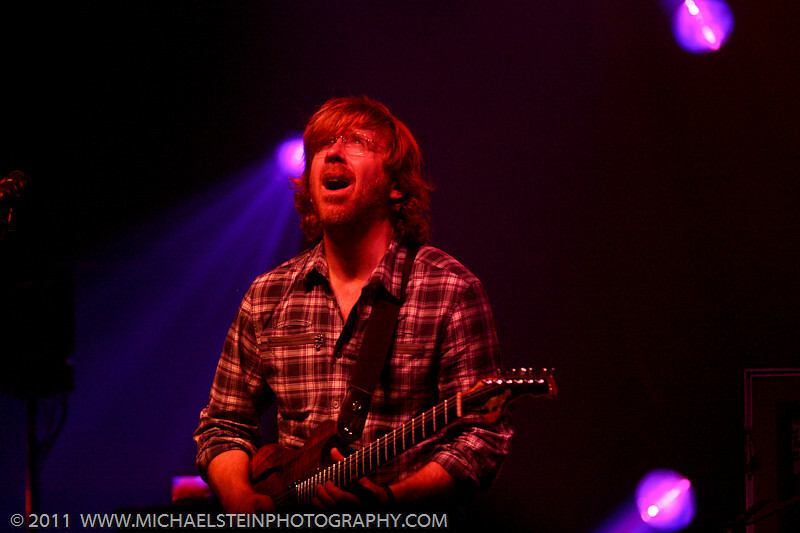 The song crossed over from Trey’s power trio and became a platform for guitar annihilation on the big stage. But when the band dropped into the same song twelve years later on the same stage, they were playing with a whole different beast. Having undergone a metamorphosis last fall from a one-man show into a whole band jam, “Sand” had seen several standout versions during June’s opening leg. 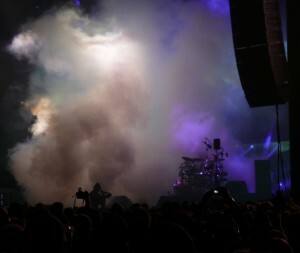 And when the song came out for its West Coast homecoming, it exploded. 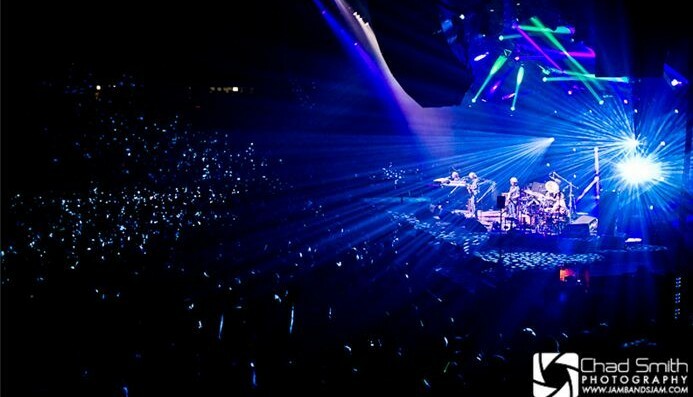 After an opening night of tour that touched the very core of the band’s raison d’etre, this second night of ballistic Phish anthems felt like a refreshing bath in an endless pool of groove. Focusing not on cosmic exploration, but dance floor action and lockstep improv, the guys threw down a monster show on the second night of the Gorge. And it had nothing to do with exploratory jamming. The thick of the second set. “On 9/3 and 9/4 in downtown Denver join me for Surrender to the Flow: Phish Yoga. Warm, stretch, and strengthen your body to fully celebrate what could be the final Phish shows of the year. 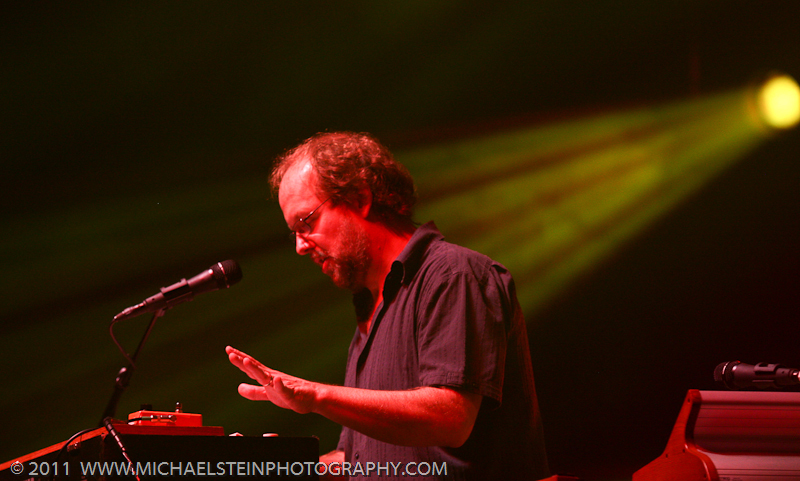 Phish and yoga are two paths calling to those of us seeking more; alternate yet similar pathways to divine spirit. Make a physically devotional offering to classic and 3.0 jams thematically connected to yoga philosophy. Click Chris’s website or the class’ Facebook page for all the info. 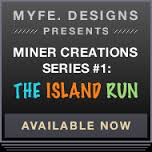 $20 pre-registered for one class, $30 pre-registered for two classes. $25 at the door. 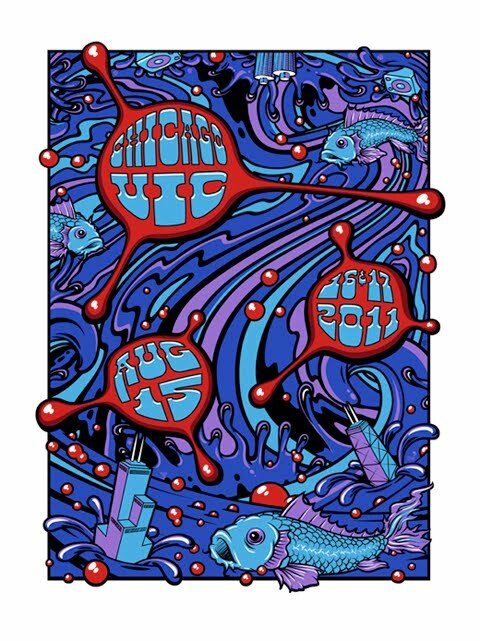 Phish finished up their second leg of summer at UIC Pavilion with one of their outstanding multi-night runs of the year. 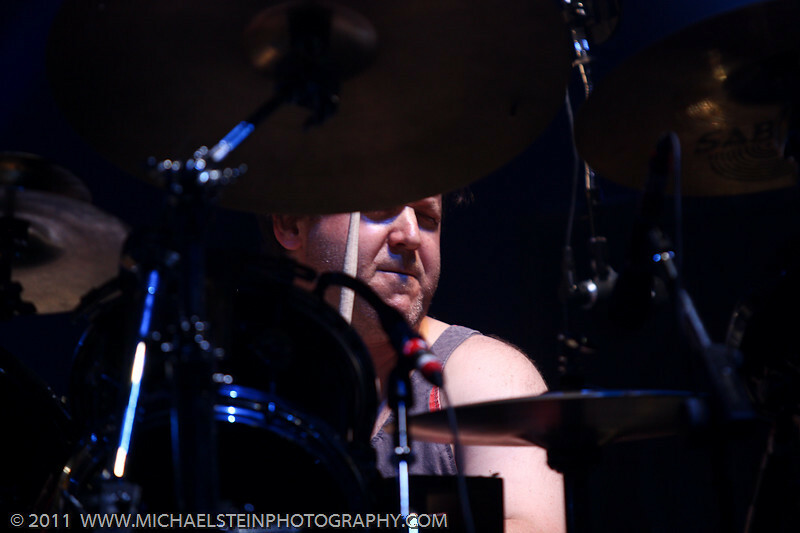 Returning to the historic and intimate venue that hosted five spectacular shows in their career, when Phish stepped inside for the first and only time of summer, things were bound to explode. Over the course of three nights the band showcased a diversity of jamming styles and song selections that pleased just about everyone in attendance while summing up their exploits of the season quite well. Ever since the first night of UIC ended, the fan base has been buzzing about the “all killer, no filler” improvisational extravaganza that took place after setbreak. 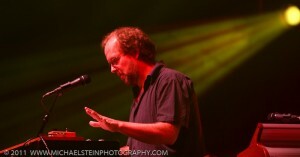 Not only did Phish jam their way through a near-perfect set, they put lens on cutting edge, experimental jamming. Infusing the second set of 8.15 with all sorts of “storage shed” psychedelia, the sequences of “Sand > Light” and “Waves -> Undermind” represent the purely new-school Phish with a focus on bass-led exploration. And within these four jams, the band illustrated the breadth of their current styles. Taking “Sand” on a ferocious groove odyssey, the band merged this year’s central dance vehicle with its renewed cosmic juggernaut—“Light”—via a dissonant spacescape. 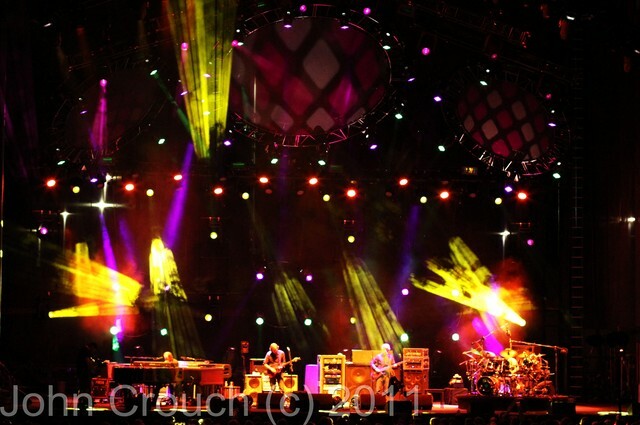 “Light’s” jam illustrated their newest style of abstract playing, one where the rhythmic section leads the way and Trey and Page focus on weaving psychedelic offerings into the whole rather than playing leads atop. Deepening into an interstellar brew, this segment put a lens on the avant-garde. The jam out of “Waves” saw the band begin to head towards “Undermind” right off the bat, but then Trey held back to explore the groove at hand, dripping into an uncompressed growl amidst a sinister rhythmic palate. 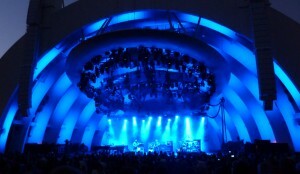 Taking this segment on a spontaneous ride, the band continued their unparalleled interplay amidst a sizzling passage that set up a surprise and seamless segue into “Undermind.” And with “Undermind,” the set’s bass-led and exploratory themes peaked with a chunky -turned-soul-tugging sequence that left more than a few jaws hanging low. Pouring a night of improvisational gold, the band also included, in my opinion, the most impressive “Wolfman’s” of the year and a smooth version of “Reba” in the opening frame. While the first night was focused on newest frontiers of Phish music, the second brought a more classic and upbeat two-setter with tight playing throughout. But the centerpiece of this night—a twenty-minute “Down With Disease”—provided ample jamming to carry the second set on its own. Likening a post-hiatus jam without the opiates, this “Disease” didn’t carry a unified theme, but rather one idea from the jam continued to spawn the next in a constantly growing, but rarely settling, piece of music. Passing through so many intriguing segments with tight communication, the band crafted a standout excursion that carried an alternate feel. This “Disease” illustrates a different beast altogether, a sprawling anomaly in this age of ultra-focused Phish jamming, but it is filled with aural candy nonetheless. Sandwiching a couple monstrous guitar peaks in “Number Line” and “Theme” in the middle of the set, Phish punctuated the feel-good frame with a funktatstic “You Enjoy Myself.” With a first set highlighted by uncharacteristically creative versions of “Chalk Dust” and “Limb by Limb,” this night was comprised of more anthemic jam vehicles. 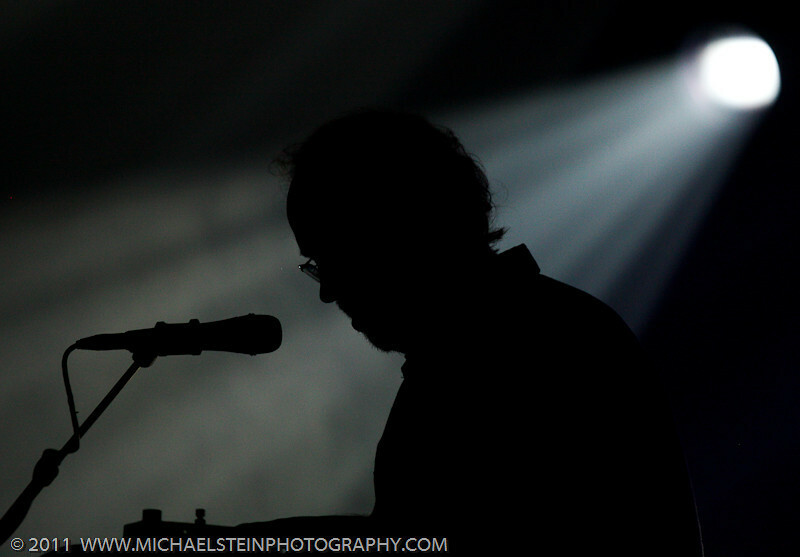 And on night three, Phish had some fun. Without delving into much serious improv, the band put on a lighthearted tour-finale that carried a “Crosseyed” theme throughout a segmented second set. 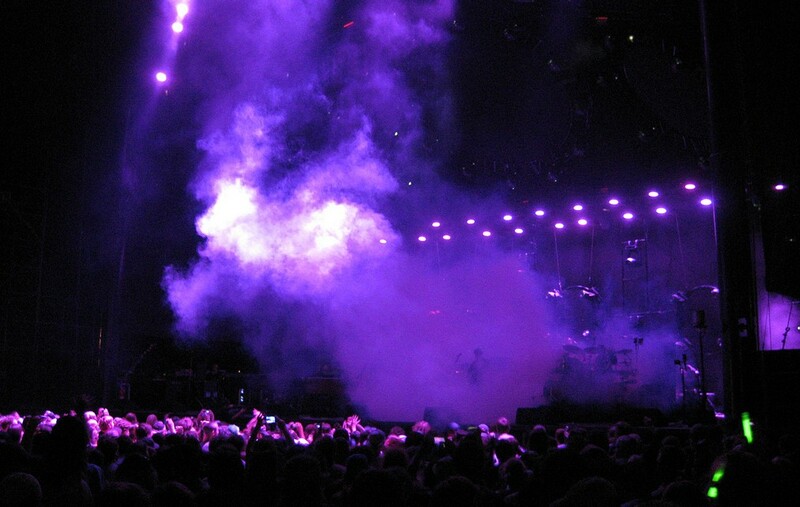 Though many jams had already been dropped by night three, with “Tweezer,” “Ghost,” “Piper” and “2001” waiting in the wings, one couldn’t help but ponder a fantasy set. 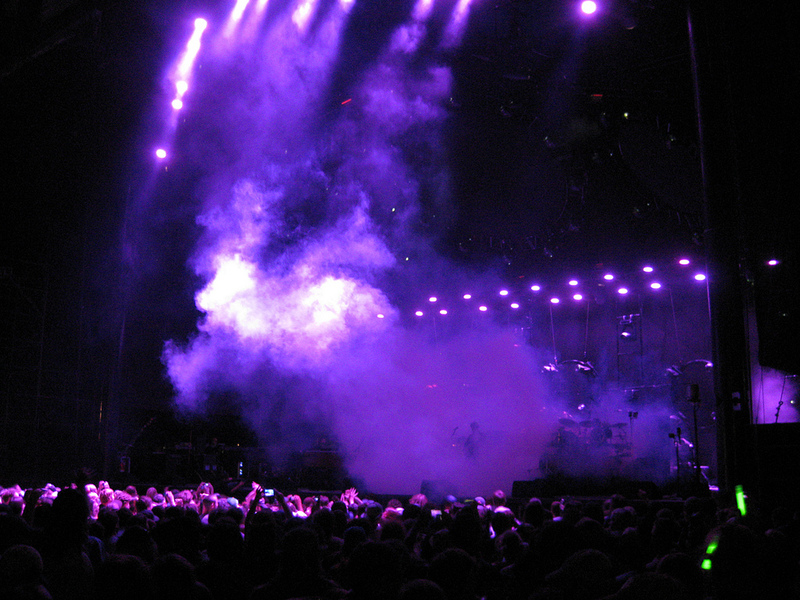 But in summation, the show’s 17-minute “Divided Sky” was as long as “Tweezer,” “Ghost,” and “Timber” combined. And while time is no longer a determining factor in Phish jams, this equation is quite the farce and underlines the lack of music depth within this second set. 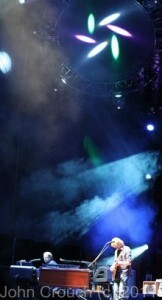 The band, however, was playing great all night long, deciding to take a different route in their tour closer. The most creative piece of the night stemmed from “Piper” whose dense musical textures continued to push the band in new directions. But other than “Piper,” the band never truly settled in any jam (less a rocking-turned-ambient “Crosseyed” opener), and the show came off a bit gimmicky with “Still Waiting” vocal reprises around every corner. But lots of people love this type of show, and the guys certainly pleased a large part of their audience with a night of Phishertainment. 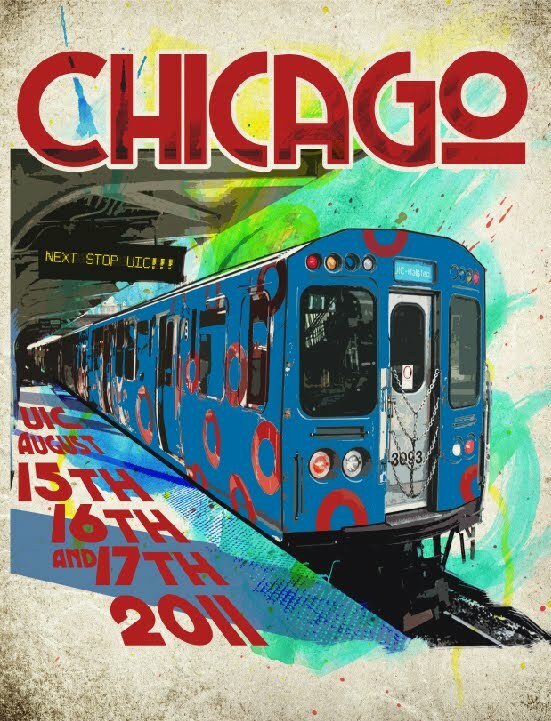 Presenting a smorgasbord of eclectic jamming styles and powerhouse playing over three nights, Phish threw down the gauntlet over an unforgettable stand in Chicago. The intensity of UIC’s undersized environs brought leg two to a sweltering conclusion, literally and figuratively. Shows are always more powerful when two sets happen in the dark, and there are only a few outdoor venues that can hold a candle to a setting like UIC. Boasting an incredibly responsive crowd filled with people who really wanted to be there, the community, as a whole, ended August with a peak experience. And this summer, starting in Bethel, it seems that peak experiences are coming at us in droves again—a hallmark of Phish’s greatest eras. A serious chunk of music from UIC’s first night. One more leg of Summer 2011 is behind us, and although short—what a power-packed run it was. Only two shows, in my opinion, fell short of amazing and much of the fan base loved ‘em, so I’d say Phish had a pretty successful tour! With the unquestionable centerpiece of the Gorge’s “Rock and Roll -> Meatstick” and several other gems that can look any jam from any era directly in the eye, leg two included timeless music throughout, music that need not carry the omnipresent label: “of 3.0.” Throughout this summer, the band has played music on par with any era and continues to improv, taking one step further into the Golden Age of Phish. Between the Gorge’s monumental “Rock and Roll -> Meatstick -> Boogie On,” Hollywood’s “Piper,” Tahoe’s “Light” and “Ghost,” UIC’s “Waves -> Undermind” > Steam,” “Light,” and “Disease,” the band’s spirit of exploration was on display throughout the past two weeks. Embarking on a cosmic excursion in almost every show, when they guys weren’t surfing mystical waves, they were annihilating standout versions of more contained jams such as the Gorge’s “Tweezer,” “Sand,” and “Reba,” LA’s “Crosseyed > Twist,” Tahoe’s “Bowie,” “Slave,” UIC’s “Wolfman’s,” “Chalk Dust,” “Harry Hood” and beyond. 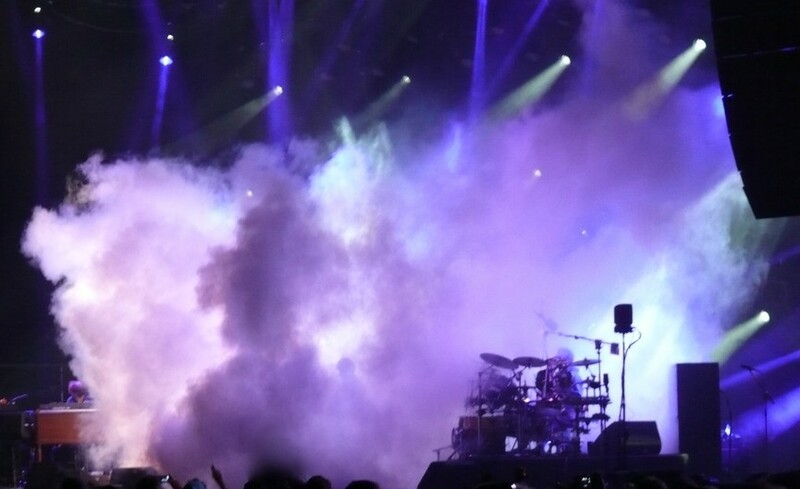 In short, the band was on fire throughout the second leg, having their way on almost every night of tour while executing many different types of shows. 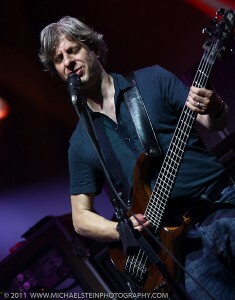 During their improvisational passages, Phish integrated a new sound—“storage jamming”—into their music. The jams of June built to Super Ball’s late-night, free-form excursion, a session that served as a sonic shift for Phish. And in August, the band took their newest style to the next level. Integrating these sounds in different ways throughout the aforementioned highlights and throughout Leg Two, the band continued forging a blazing path through this calendar year. Experimenting with new sounds and pushing new musical boundaries, Leg Two became a natural evolution of a multi-legged tour that has witnessed Phish being Phish again. 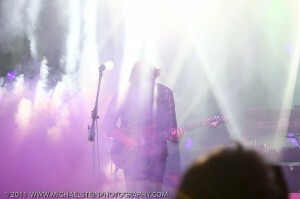 Infusing distinctly 2011 psychedelic and abstract effects into their playing, and creating post-modern sound-sculptures, the band has began to hone in on a new sound, something that seemed so elusive only one year ago. 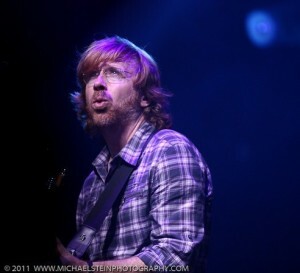 Though it may be a cause or effect of this emerging style, Trey laid way back during many jams of August as Mike led the band through wormholes of the universe. Both “Lights” of tour provide prime examples of this dynamic, not to mention several other heavy-handed excursions. 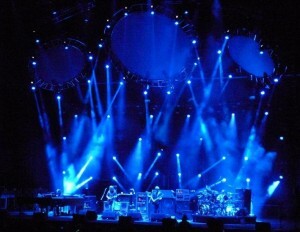 Carrying over from June and Super Ball, experimental jamming continued to be a central theme of Phish 2011. 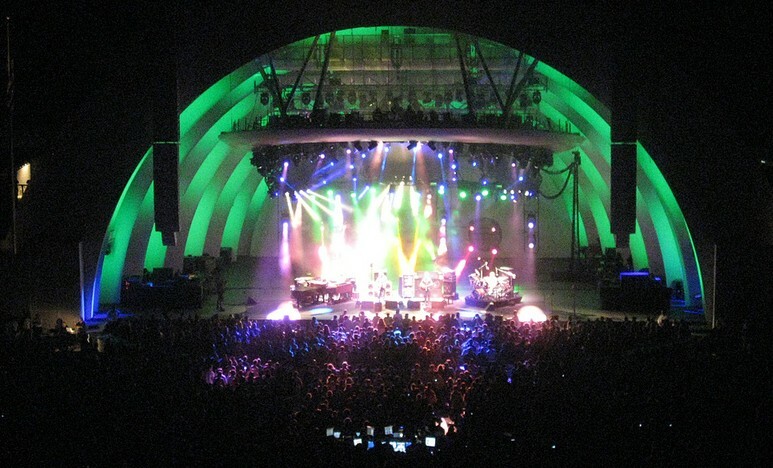 On a tour of dream venues, Phish bookended their run with two that couldn’t be more different. The vast natural surroundings the Gorge contrasted completely with the tiny and overheated environs of UIC Pavilion, though, not surprisingly, these were the two stands that provided the highest collective highs, with the most dialed in crowds of the tour. 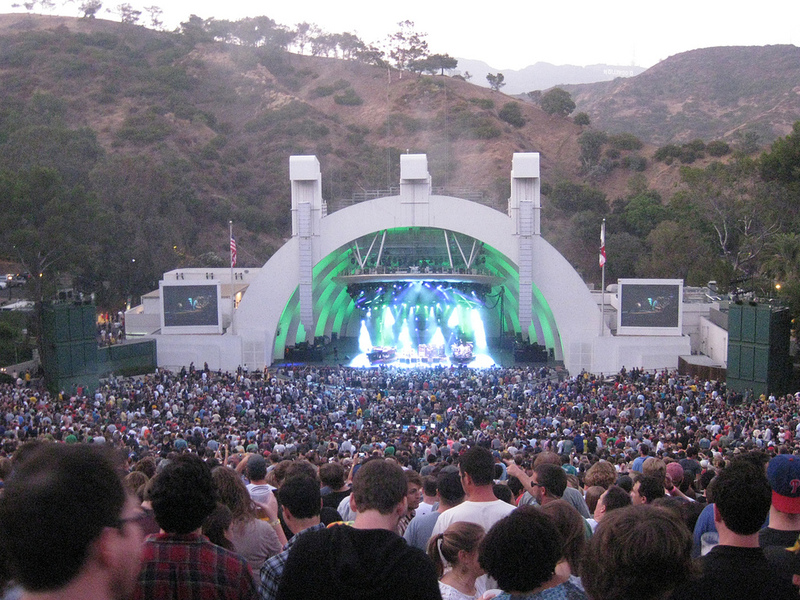 Throw in Hollywood Bowl, Lake Tahoe, and Golden Gate Park to complete the late-summer circuit, and each stop along the way was a memorable one—a welcome departure from June’s countless cookie-cutter amphitheatres. During these two weeks before Denver’s summer finale we will look more closely at the many special moments of August. Thinking back to Bethel in May, where this whole shindig got started, things have progressed like a dream over the past few months. And as Phish prepares to step into the freezer one more time in Denver, one can already be sure fans will be listening to Summer 2011 for years to come. 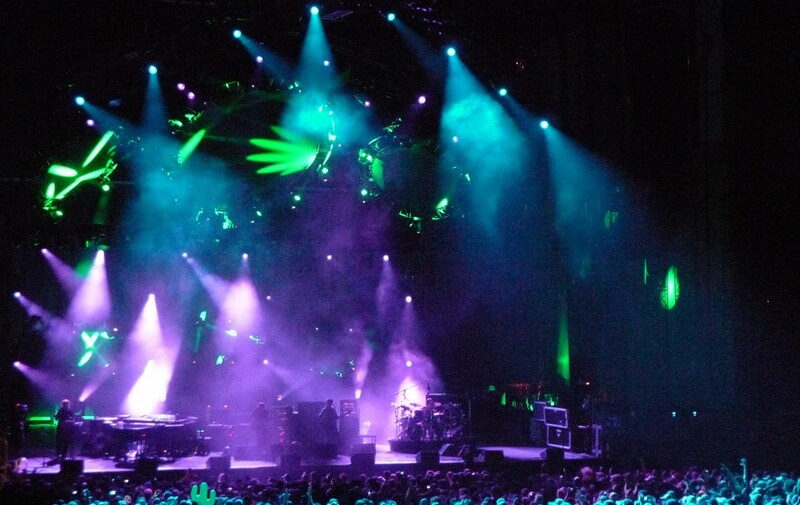 Following two shows that showcased jams of all shapes and sizes, Phish played an odd tour finale in which they rarely let an improvisational root take hold. 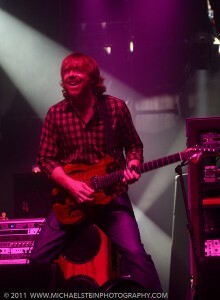 Still crafting an engaging opening half of the second set the band carried legitimate momentum, albeit with short jam segments, as they segued smoothly from the show’s improvisational high point—“Piper”— into “Ghost.” But Trey decided to supplant any semblance of a “Ghost” jam with “Makisupa,” a move which wound up diffusing the entire set and sparking an innocuous run of made-far-radio Phish, leaving their leg two finale as the weakest of the Chicago’s three nights—by far. Taking it back to the early-nineties, the band dropped an old-school banger that got straight to business, packing quite a bit of high-powered and well-phrased interplay into a shorter-than-usual duration. 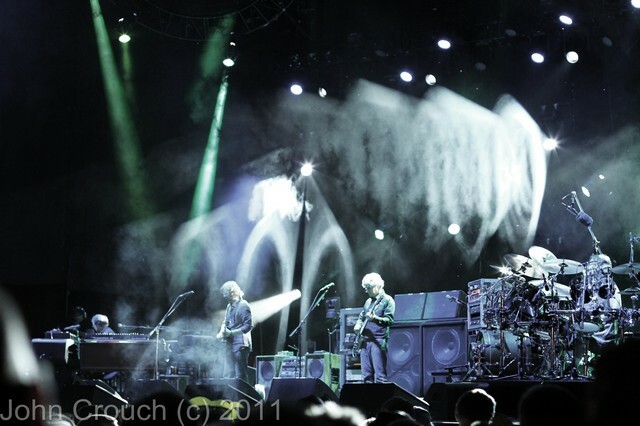 Moving into an abstract and bass-led realm in which Trey played staccato leads atop, the band was on the move. But just when they had settled into a melodic plane that was bound for glory, instead of following an obvious signpost to the sublime, Trey slowly curbed a still-jamming band into “Caspian.” Following a gentle and cooperative take on the song, Trey segued, unfinished, into “Piper.” And now the stage was set for the highlight of the show. A surreal melodic exchange took very little time to break from structure, into transcendent territory and beyond. In a clever maneuver, the band worked a second reprise of “Still waiting” into to an already glowing jam. Eventually oozing into an ambient passage that brought the band into “Ghost,” this is where our story comes to a screeching halt. Reeling off nine straight short songs over the rest of the set and encore broken up only by a set-ending “Antelope,” the band rode the show right into the ground. As if deciding halfway through the set that they wanted to change vibe 180 degrees, the band took a left turn out of an solid set and into jukebox Phish. Killing any continuity and any serious musical endeavors, a different muse seemed to speak to the band for the rest of the show. Turning an already song-based night into a relative head-scratcher, the odd decision left the show’s lasting segment reading “Tweezer > Caspian -> Piper,” with little competition. Despite second leg breakouts of “Forbin’s > Mockingbird” (an opener for the first time since 1989), “Gumbo” and “Weigh,” the highlights of the mostly retro, up and down first set came in “Divided Sky” and the late one-two punch of “Bathtub Gin,” “Maze.” “Divided” just popped with far more energy than usual, as the song’s signature pause evoked memories of Trey’s transcendent experience during the same instance at UIC in ’94 (as told to Charlie Rose). “Bathtub Gin” brought the most danceable highlight of the first half as the band rode Mike’s galloping bass lines out of an introductory section of pocket-less playing. As the band opened the floodgates of groove, the piece’s emotional quality skyrocketed as the quartet converged in a triumphant romp on the coattails of Trey’s ferocious guitar solo. Blissed out textures defined this whole-band peak, perhaps the highest of the entire show. A blistering “Maze” followed suit before “Cavern and “First Tube” closed out the first half. 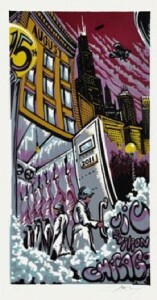 Stumbling to the finish line a bit, Phish closed out UIC with a show that could be summed up in a word: underwhelming. With the stage set for a gargantuan final set of tour—or at least a significant one—the band came out with a half a set of solid play and one lasting jam that was, arguably, not even the song’s best version of this short second leg. 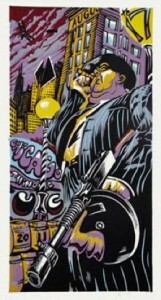 Following two high-quality nights of Phish at UIC, perhaps the band ran out of steam for the third? Scripting an engaging (but hardly groundbreaking) half a set, one has to wonder what caused such a sudden change in the show’s direction. 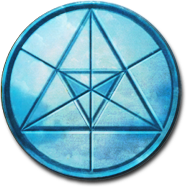 But as one more part of Summer 2011’s colossal puzzle comes to a close, one more awaits. 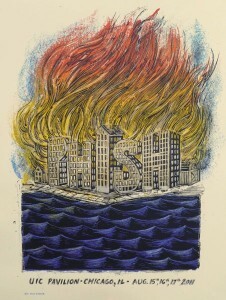 And one thing 2011 has proven with Bethel, Super Ball, and The Gorge, is that the band starts out runs on fire, a good omen Colorado’s three-night bash only two weeks away. Much more between now and then, but for now…I’m out. With two sets of power-packed playing centered around an massive exploration of “Down With Disease,” Phish put on an upbeat and feel-good rock show for the middle night of their trifecta at UIC Pavilion. With authoritative playing all night long, the band dispersed improvisational highlights throughout two largely song-based sets, making for a choppy, though often impressive, night of music. 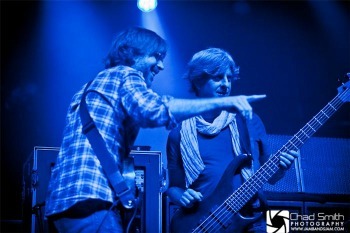 Within a colossal “Disease,” Phish’s passed through several naturally connected segments of dark, bass-anchored psych-rock. Using one idea from the jam to organically spawn the next, Phish crafted an exploratory odyssey that remained, simultaneously, coherent. Steering their way through an array of driving textures and pulsating rhythms, the band unleashed a herculean effort while navigating an intricate piece of original sounding music. Not resembling the contour of so many Phish jams we’ve become accustomed to over the years, we are now discovering what they would sound like with a lead bass player. Following Gordon’s lead for most of the piece, the band took an engaging jaunt through a new-school, beat-backed passage that sounded different from any jam we heard on night one. Though still adhering to “Twist’s” theme, the band got more creative last night within a notably laid back and groovy version that fit quite well in context. Serving as a smooth landing point for “Disease’s” full-throttled adventure, the slinky, funked out textures slid people’s mind back from the ether and into a song-driven rest of the show. Crushing a mid-set “Theme” to smithereens and briefly jamming through a spacescape out of “Golden Age” into “A Day in A Life,” the band then put a cap on the set with a series of filthy, bass-led funk grooves in a version of “You Enjoy Myself” that quickly built into a guitar showcase. The first set got off to a super-charged beginning with “Dinner and a Movie” and Ha Ha Ha” followed by a heat-seeking, “Bowie-esque” take on “Chalk Dust,” one of the most impressive jams of the entire night. A mid-set “Walls of the Cave” gave way to the old-school one-two punch of “Runaway Jim,” Foam”—all played with rock solid precision and tons of energy. 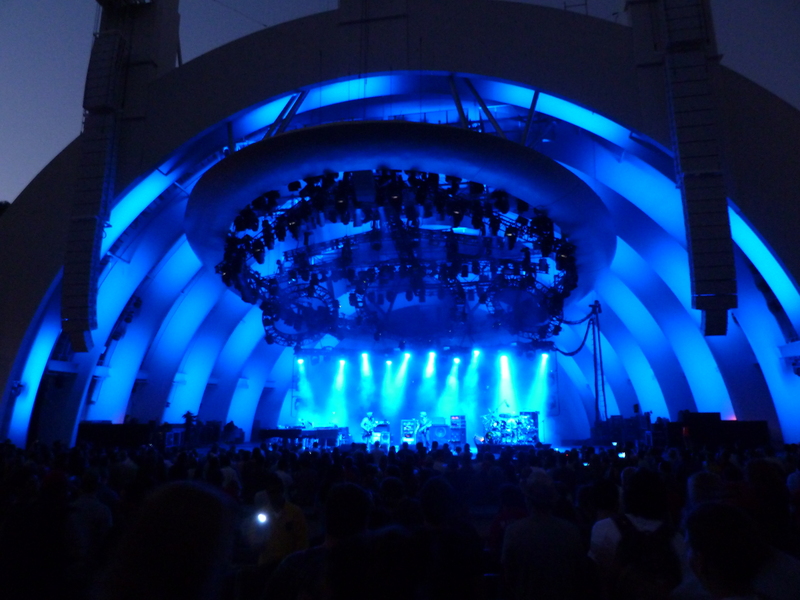 A late-set “Limb by Limb” picked the set back up from a slight lull with an original jam that dipped into “plinko” land as Trey stabbed out a solo atop his looped patterns. Building into a more abstract and percussive territory before landing back in the song’s theme, “Limb” provided the set’s other improvisational gem. But the band still had a surprise up their sleeve in a gorgeous “Let It Loose” set closer—the song’s first appearance since Indio when the band covered The Rolling Stone’s “Exile on Main Street” in full. Continuing to push the envelope with bass-led jamming, Mike and Fish sculpted a certain rhythmic intensity in “Disease” that has come to define many new Phish jams. Last night’s cosmic chase that will not soon fade from memory held down most of the improvisational meat of a show packed with Phish songs, providing a considerably softer feel than night one. Sometimes, however, when the band drops a monster jam you just have to ride out the ripples. And as the band continues to forge new pathways in their improv, sometimes huge jams are coupled with lots of songs, and last night was one of those nights. Tuesday was not a show that will be remembered for flow or its overall contour, rather, UIC’s second night will be remembered for its “Down With Disease.” And sometimes that is enough. 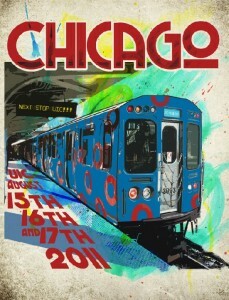 What happens when you get Phish out of California, put them in a tiny venue in Chicago and let them loose? Well—last night happens. 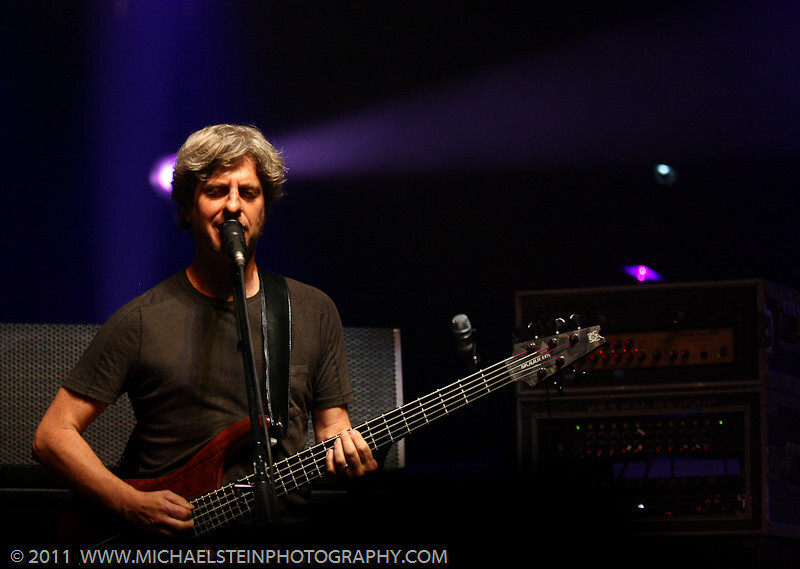 Scripting another page in their rich history at UIC Pavilion, Phish sculpted a top-shelf second set defined by free-form jamming and stunning original interplay. 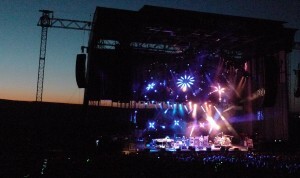 One of their most musically adventurous sets of the year was comprised of song selections that represented Earth’s classical elements in “Sand,” “Light,” “Dirt,” “Waves,” “Steam,” and “Fire.” And with the set’s final piece, “Undermind”—a song whose self-referential lyrics rang the truest since Hampton—Phish was the symbolic fifth element in a universe where all things felt aligned again. Taking the audience on a non-stop journey through the depths of psychedelia, Phish plunged into the unknown time and time again during a set that has to be considered among their finest efforts of the year. Playing comfortably on the astral plane, Phish danced more than a few spiritual jigs last night in a second set that flowed as naturally as ever. 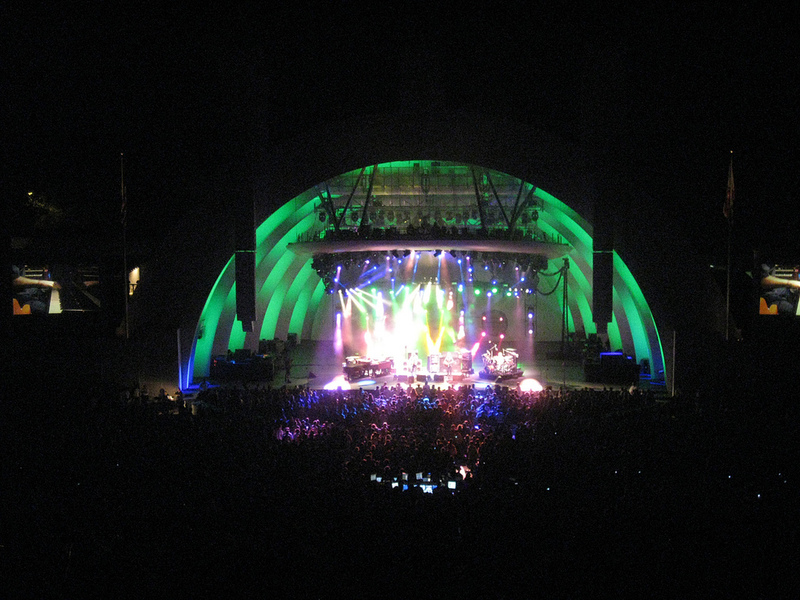 It’s tough to discuss any single highlight of a musical experience in which the entire whole stood out. Each piece, while magnifying different aspects of the band’s repertoire, was tied together with remarkable cohesion as the band migrated from one musical plane to another as naturally the patterns of the Earth. Starting with the sinister swank of “Sand” the band showcased their one-minded playing with a heroic dose of Phish groove. The band took the song far beyond rhythmic gymnastics however, as they moved right past the song’s conclusion into a hard-edged ambiance. Amidst this context Mike and Trey had an eerie, one-on-one conversation that gradually brought the band towards “Light.” And after a small time off from being the band’s central portal into the center of the cosmos, “Light’s” two versions of tour have been exactly that. Taking last night’s piece into the heart of modern Phish experimentation, Mike stood at the center of an intergalactic jam. As the band pushed eclectic and alien boundaries, the wide-open style of play that defined the jam would soon come to define the entire set. Whispering through “Dirt,” the band’s spirit of exploration came right back into play in the to-die-for sequence of “Waves -> Undermind > Steam.” The band followed its musical senses wherever they led them, never altering their natural flow for a moment in one of the year’s most endearing improvisational segments. 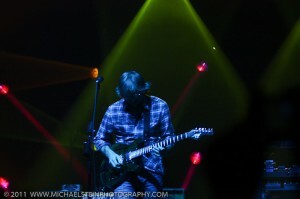 The band spilled out of the lyrics of “Waves” with a delicate-turned-ferocious groove in which Fishman and Mike set the stage for Trey join in with seething accompaniment. And the groove that the band dropped into at this juncture was pure magic. 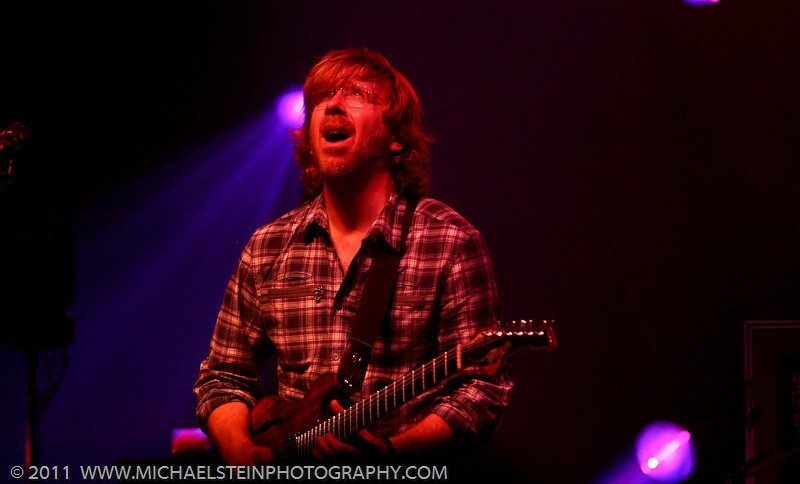 This dark escapade, more than a few times, seemed heading for “Timber Ho,” but Trey took everyone by surprise as he layered the lyrics of “Undermind” seamlessly over the bands undulating patterns. And out of this song—so lyrically poignant at this stage of the game—came some of the most magnificent music we’ve heard this year. 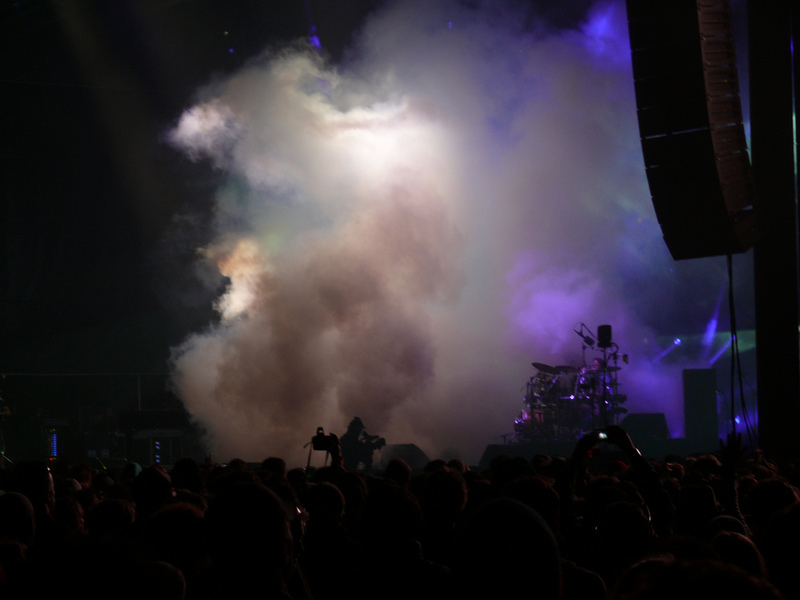 Placing their newest song in its most significant slot yet, the band dripped through “Steam”— a landing point that seemed perfectly fitting within the inhumane temperatures and humidity of UIC. The band had just melted our faces with four centerpiece jams, and then used Jimi Hendrix’s “Fire” as a musical victory lap around the pavilion. Adding the tongue-in-cheek cap on a thematic set of “jamming with the elements,” Phish left nobody begging for more when this set ended. But there was a lot left to come. With an all-killer-no-filler second half, the band, apparently, pulled up a bit short of curfew. Performing an unprecedented quadruple (or quintuple) encore that featured “Camel Walk,” “Guyute,” and a monster version “Harry Hood” as the cathartic exclamation point, the band left it all onstage last night in the heart of Chicago. 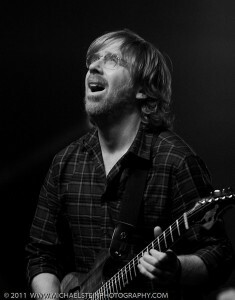 1st Set Notes: A slow-starting first set blasted off in earnest with an incredibly creative take on “Wolfman’s Brother.” Building the groove into uncharted ground, Trey laid way back as the rest of the band formed an emphatic rhythmic template. Slinking into the mix one note at a time, soon Trey stood atop the jam leading the troops to glory. But the journey between these two points is quite astounding. Balancing the experimental grooving of “Wolfman’s” with a classic dose of bliss, the band unveiled a first-set “Reba” that sailed through tranquil waters with with unparalleled band-wide interplay. In addition to playing a particularly shreddy “Alumni Blues” to end the first half, the guys also unveiled Mike’s most promising song in a while, “Babylon Baby.” What seemed at first like quirky Gordeaux horse-hockey, upon re-listen, really has substance. Coming pre-loaded with a whole-band launch pad, it will be interesting to see if song sticks around.